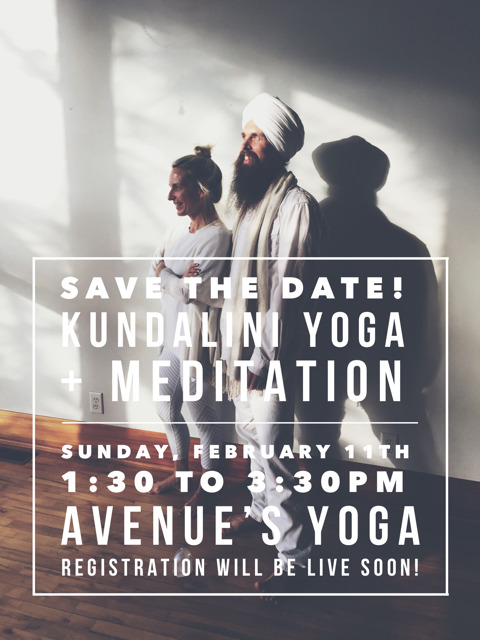 Join us Sunday, February 11th for this meditation and kundalini yoga class with Khushbir Singh and Becca Peters. Khushbir Singh (see his bio below), will start the session with a 1.5 hour physical wisdom and breath work focused Kundalini yoga class. Becca Peters will close the class with a guided thirty-minute Mindfulness Meditation. Beginners and all levels of practitioners are welcome! Khushbir loves to share what he has experienced in his over 25 years of practicing and teaching Kundalini Yoga all over the world and is always learning more in the process. He teaches in teacher trainings, and travels to teach and take workshops worldwide. Some of his specialties include teaching students breathing techniques, Postural alignment and physical yoga, and mantra. Khushbir is a member of the Kundalini Research Institute’s Aquarian Teacher Training Academy, he has a Level 2 500 hour Teacher Certification, and a Bachelor’s degree in Philosophy with a focus on the nature of consciousness. Join us Sunday, January 21st for a very special 2.5 hour class. Becca Peters will start the session off with a fort-five minute guided meditation and Khushbir Singh (see his bio below), will follow with a 1.5 hour introduction to Kundalini yoga class.